At Emgineering Limited, we're committed to protecting and respecting your privacy. Any questions regarding this Policy and our privacy practices should be sent by email to info@emcstandards.co.uk or by writing to Emgineering Limited, 1 Brassey Road, Old Potts Way, Shrewsbury, United Kingdom, SY3 7FA. Alternatively, you can telephone +44 (0)1785 660 247. 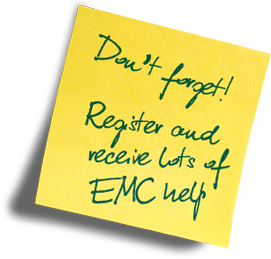 We are Emgineering Limited, the one place where you can learn about, understand and solve the EMC issues that affect YOU. Emgineering Limited is a company limited by guarantee (no. 10505134). The registered address is 1 Brassey Road, Old Potts Way, Shrewsbury, United Kingdom, SY3 7FA. We obtain information about you when you use our website, for example, when you contact us about products and services, to make a purchase, to enter a competition or if you register to receive one of our regular newsletters. We will also collect information if you phone us to place an order or if you email us. Third Party Service Providers working on our behalf: We may pass your information to our third party service providers, agents subcontractors and other associated organisations for the purposes of completing tasks and providing services to you on our behalf (for example to process orders and send you mailings). However, when we use third party service providers, we disclose only the personal information that is necessary to deliver the service and we require them to keep your information secure and not to use it for their own direct marketing purposes. We will not release your information to third parties beyond the Emgineering Limited network for them to use for their own direct marketing purposes, unless you have requested us to do so, or we are required to do so by law, for example, by a court order or for the purposes of prevention of fraud or other crime. We will not contact you for marketing purposes by email, phone or text message unless you have given your prior consent. We will not contact you for marketing purposes by post if you have indicated that you do not wish to be contacted. 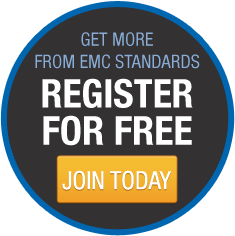 You can change your marketing preferences at any time by contacting us by email: info@emcstandards.co.uk or telephone on +44 (0)1785 660 247. You can exercise any of these rights at any time by writing to the Emgineering Limited at 1 Brassey Road, Old Potts Way, Shrewsbury, United Kingdom, SY3 7FA. We keep this Policy under regular review. This Policy was last updated in 25 May 2018.